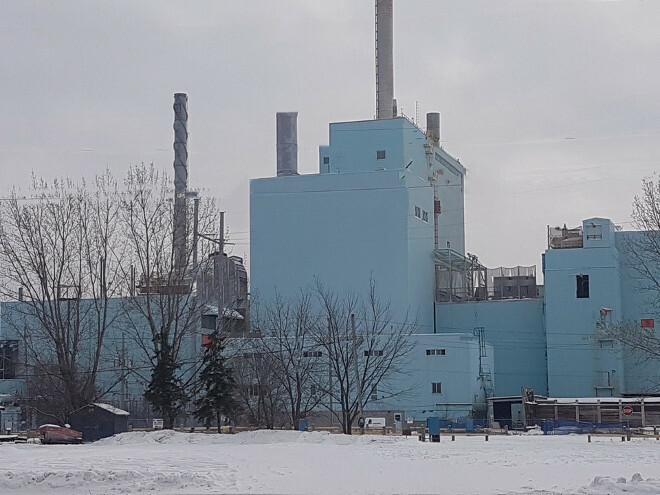 Ontario has thrown its support behind the reopening of the Fort Frances pulp and paper mill, but Resolute rejects Repap’s bid, says it will proceed to redevelop the site. In other Company news: Paper Excellence completes purchase of Catalyst’s mills in BC; Georgia Pacific upgrades its Rome, Georgia dimension mill; and Interfor releases its 2018 corporate sustainability report. In other news: North American lumber production edged up due to US output gains; global lumber trade fell 7% in 2018; Brazil’s indigenous leaders battle to save their land; and Oregon’s new Wildfire Response Council to determine adequacy of current prevention efforts. Finally, March 21st is International Day of Forest. How will you mark the day? In 2018, global trade of lumber fell for the first time in five years, with total trade down 7% year-over-year. The four largest importing countries, the US (-18%), China (-5%), the United Kingdom (-13%) and Japan (-6%) all imported less in 2018 than in the previous year. Much of the decline was the result of weaker economic prospects and reduced housing starts. 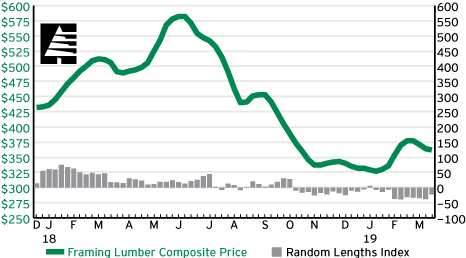 US lumber prices have gone through a historical roller-coaster ride over the past 12 months. Random Lengths’ composite index for southern yellow pine was at $420/m3 in January 2018, peaked at $554/m3 in June and fell to $372/m3 in January 2019. 2018 softwood lumber exports from Canada were down 5% from 2017, with the biggest decline being in shipments to China. A three-year high of 80% of total exports were destined for the US market in the 3Q/18 despite efforts by Canada’s lumber industry to diversify its export shipments. China’s share has fallen from 13% in 2017 to 12% in 2018. The average export price from Canada declined by 28% this fall. Framing lumber trading developed a stronger pulse for those serving markets graced with warmer and drier weather. …Structural panel prices shifted mildly amid measured trading. Price trends were mixed in OSB. …For the first time in years, harsh winter weather has slowed consumption of wood products across the vast majority of Canada and the U.S. With the official start of spring slated for next week, traders are openly wondering whether pent-up demand will lead to a surge of business. …North American lumber production edged up 0.8% in 2018 to 62.3 billion board feet, with U.S. output driving the uptick. U.S. production of 34.9 bbf represented a 3.3% increase over 2017. Canadian production fell 2.3% to 27.4 bbf. …Trader’s Notebook: Last year’s record price volatility and anomalous trends will remain fresh in softwood lumber traders’ minds as they assess second-quarter prospects. INTERFOR CORPORATION—announced today that it has published its 2018 corporate sustainability report; it can be viewed online. The report highlights Interfor’s continuing commitment to making quality lumber products, managing forests sustainably, providing meaningful and safe jobs for employees, investing in its facilities, operating to strict environmental parameters and supporting local and First Nations communities. In addition, a new chapter was added on climate change to highlight the work done by the Company to mitigate environmental impacts and promote the environmental benefits of building with wood. Richmond based Paper Excellence now owns three pulp and paper mills owned by Catalyst Paper. The formal transfer of ownership was marked Monday March 18 in Crofton, where one of the three Catalyst mills is located. The acquisition also includes Catalyst’s distribution centre in Surrey, and mills in Port Alberni and Powell River. Paper Excellence has not divulged how much it paid to acquire Catalyst, which has struggled financially for a decade, thanks in part of declining demand for newsprint and other paper products in the digital age. Catalyst, previously a publicly traded company, nearly went bankrupt in 2012, when it sought creditor protection, and emerged from that experience as a private company. 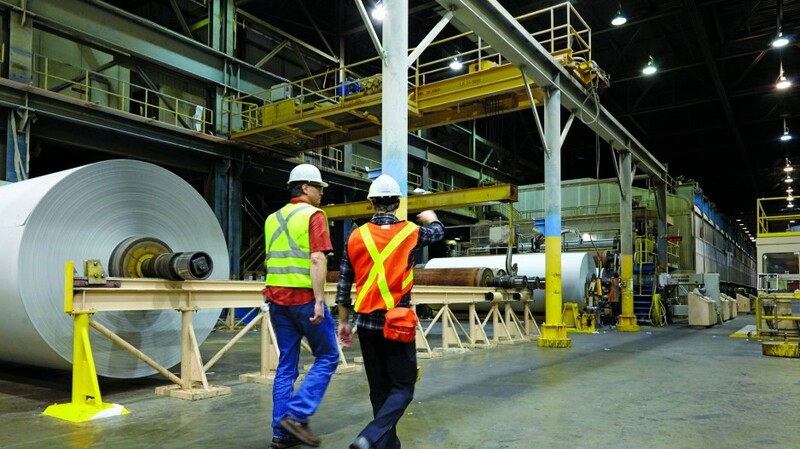 …Catalyst employs 1,600 workers in B.C. and is Crofton’s largest employer, so the mill’s closure would be a major blow to to the community. Provincial cabinet minister Greg Rickford has thrown his support behind the reopening of the former Fort Frances pulp and paper mill under potential new ownership. Rickford, Ontario’s energy and Northern development and mines minister, is backing the Town of Fort Frances’ efforts to gain control of local wood rights from Resolute Forest Products and save the mill buildings from demolition. “We will work with any successful bidder on securing wood supply for the Fort Frances facility,” said Rickford in a statement released one day before Resolute’s March 15 deadline to take bids on the property. “I stand behind the people of Fort Frances, and I am very focused on seeing this important asset reopen, and bring good jobs back to northwestern Ontario.” …The town’s efforts to save the mill and encourage a new operator has drawn support from other communities, First Nations leadership, business groups and organized labour. Resolute Forest Products has rejected a bid from a private investment group interested in purchasing the shuttered paper mill in Fort Frances, Ont., and says it will turn its attention to redeveloping the site. That was communicated in a letter sent by the forestry giant to Fort Frances mayor June Caul on Monday. Repap Resources Group said on Friday that it had submitted a “multi-million dollar” offer to purchase the mill and its assets. Resolute closed the plant in 2014; the company said Repap’s offer “fell short on multiple fronts.” Resolute had already signed an agreement with a company that specializes in redeveloping industrial sites in January, according to the letter to the town from Resolute president and chief executive officer Yves Laflamme, but entertained interest from other parties, including Repap. Laflamme’s letter said that Repap was the only party to actually submit a bid. Georgia-Pacific to invest $30 million in its Rome Lumber mill in Georgia, US. 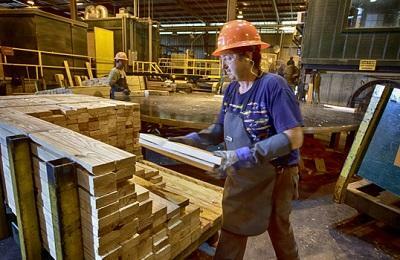 The dimensional lumber facility, which currently employs 163 people, will use the investment to purchase and install new equipment in the coming months. This new equipment includes a new planer, grader and trimmer. Along with a new sorter that will serve 65 bays, a significant increase from the current 26 bays. …Preparations for new structures and equipment is beginning now, with concrete work to be underway by June. …The facility will then shut down briefly to initiate and test the new equipment with plans to reopen in early December. This is the largest investment since Georgia-Pacific acquired the facility in 2013 as part of the purchase of International Paper’s Temple-Inland Building Products division. PORTLAND, Ore. – At the International Mass Timber Conference, SCM is outlining its state-of-the-art technological solutions, including a new CNC machining center for the timber construction industry. SCM says it has been working within this sector over the past 10 years… This has led to state-of-the-art technological solutions, says SCM, including Oikos X, a new CNC machining center for manufacturing structural beams, X-lam/CLT wall panels, and insulating panels. During that time its technology has matured for wood construction as it gained an in-depth knowledge of industry demands, and carried on intense R&D work. …The technology will be unveiled at the International Mass Timber Conference, which runs March 19-21 in Portland, Oregon to examine the new face of mass timber construction. SAN FRANCISCO — Swinerton is proud to announce that it has officially launched Swinerton Mass Timber, a new business unit dedicated to building projects using mass timber technology. The Swinerton Mass Timber team will pursue new projects that are being developed with mass timber, and the team will evaluate other project opportunities to determine mass timber solutions. Swinerton Mass Timber experts will shape the paths for delivering financially-viable mass timber structures, working with project teams and key partners across the nation to develop, design and deliver mass timber buildings. “Swinerton Mass Timber represents our commitment to shaping the future of building. Utilizing this technology, we know mass timber will help us build more quickly, more safely, and deliver the most cost-efficient structures in markets nationwide,” said CEO Jeff Hoopes. Minnesota’s strong commercial market, accessibility to supply chain and opportunities for economic impact are highlighted in a recently completed study, “The Economic Feasibility of Mass Timber Manufacturing in Minnesota.” The study, commissioned by the Area Partnership for Economic Expansion, or APEX, …suggests that Minnesota has great potential to introduce mass timber manufacturing in the Arrowhead region. …The study also examined Minnesota’s capacity to build a mass timber manufacturing facility in the Arrowhead Region. Study results show that building a mid-sized manufacturing facility in northern Minnesota would bring: 50 new (direct) jobs, $11.7M in industry sales, $6.2M in labor income, 45 new (indirect) jobs, Total Output: $20.3M. Every mass timber manufacturing job in the state of Minnesota would support 0.9 jobs in related industries, potentially creating a total of 45 new jobs. Re: U.S. plush toilet paper use wiping out Canada’s forests, flushing away the future: report (NP, Feb. 26). On behalf of Canada’s forest sector, I am responding to false statements made in the story on toilet paper use in America and the impact on forests. The Natural Resources Defense Council (NRDC) report used words like “devastating” to describe how American toilet paper use is affecting Canada’s forests. Nothing could be further from the truth. Canada plants over 615 million trees annually and has professional foresters who manage our forests to ensure wildlife, biodiversity and water protection. It is concerning that NRDC suggests alternative sources that are more carbon intensive or sourced from countries with lower forest management, labour and human rights standards. …Canada’s approach to forest management brings environmental, social, and economic benefits to our country. We plan to keep it that way. On April 15, 2010 John Youds and Rob Doligan, who were representing the Ministry of the Environment, presented a 33-page outline to the Horsefly River Roundtable regarding why the Horsefly River watershed should be declared a “Fisheries Sensitive Watershed,” which made a whole lot of sense to those of us who were present. …Since that time it seems the logging industry has been putting a concerted effort to harvest the area’s trees before the designation comes into effect in the summer of 2020. …The Horsefly sockeye run was once considered the largest in B.C., supplying over 50 per cent of the sockeye caught by fishers in the province. …There doesn’t seem to be any sense to the Ministry of Forest’s logging plan, if in fact there is one at all. MANILA — An online game offering a PHP100,000 prize aims to help promote knowledge and activities that will benefit forests nationwide. Local app-based trivia game show, “Paydro Live”, will feature this Thursday (March 21) questions on the country’s forests so people can learn more about these ecosystems, noted forest management specialist Hubert Riña from the Forest Management Bureau (FMB) which is sponsoring the contest. “We’re encouraging those who’ll join the game show to prepare by learning as much as they can about our forests,” he said. He also urged the game’s prospective players to learn about the annual International Day of Forests (IDF) which countries worldwide observe on March 21. Anyone, anywhere can join the game, Riña said. FMB continues its advocacy to help prevent further loss of the forest ecosystem. Among the forests’ benefits are providing food, water and raw materials, FMB said. The United Nations General Assembly proclaimed 21 March the International Day of Forests in 2012. The Day celebrates and raises awareness of the importance of all types of forests. On each International Day of Forests, countries are encouraged to undertake local, national and international efforts to organize activities involving forests and trees, such as tree planting campaigns. The theme for each International Day of Forests is chosen by the Collaborative Partnership on Forests. The theme for 2019 is Forests and Education. How will you mark the day? The indigenous peoples of the Amazon rain forest are the shock troops in the struggle against climate change. “We are the first ones to be affected,” says Sônia Guajajara, one of Brazil’s best known indigenous leaders. “We’re seeing floods that last longer, we’re seeing droughts that are longe… It also affects our culture.” …Although long imperiled, the forest is at greater threat now under the presidency of Jair Bolsonaro. …Mr. Bolsonaro moved quickly to undermine protections for the environment, indigenous land rights, nongovernmental organizations. …Lands that are formally recognized as “collective lands” are owned by the government but guaranteed under the Constitution for the exclusive use of indigenous groups. Mr. Bolsonaro says he wants those lands made “more productive.” …The Bolsonaro election also calls into question the fate of a proposal… to create a rain forest sanctuary the size of Mexico. A Canadian delegation of innovators in the biomass market will search out new export partners during a trip to Sweden this April. Biomass North Development Centre, based in North Bay, will lead the envoy, which will first attend the World Bio Markets forum in Amsterdam, April 1-3. This year’s conference is focused on the theme Commercializing the Bio-Based Value Chain. The delegation will continue on to Stockholm, Sweden, to participate in business-to-business meetings with potential export partners on April 4, followed by a day of site tours on April 5. “We are eager to bring Canadian innovation to the global market,” said Dawn Lambe, executive director of Biomass North Development Centre, in a March 18 news release.